Pests are always serious problems that gardeners, especially beginners, usually encounter. Small insects and bugs could be removed easily from your lawn if you can recognize their types correctly and then apply the right methods to stop them before they kill the lawn. In this article, we would like to show you some tips to control lawn pests. We hope that it will be useful for you. From the beginning of the pest epidemic, you might not recognize the signs of it because small bugs and insects are eating the grass roots or living under the grass leaves. Moreover, pests gather in small groups. On the other hand, lawn pests could be mistaken easily for lawn stress which was caused by diseases or a lack of water. However, there is one sign that can help you realize who your uninvited guests are exactly: birds. The birds eat insects and bugs. 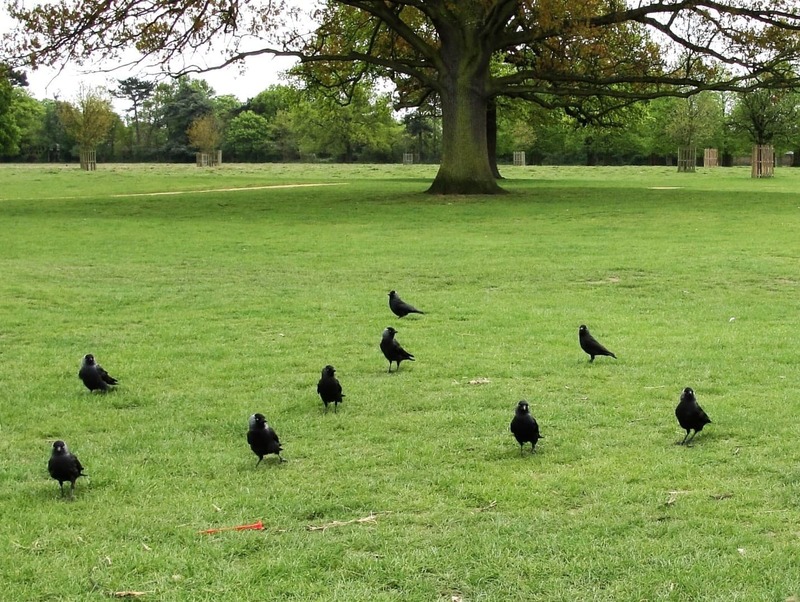 Therefore, if you see birds searching or digging for foods frequently in your lawn, this is probably a sign of pests. Especially if there are too many birds searching for lunch on your lawn, then maybe a huge amount of bugs are increasing under your grass leaves. That is the time when we must take action quickly. There are two common types of pests: root feeding grubs and surface dwelling grubs. Root feeding grubs stay at the grass roots. They often appear in stressed and undernourished lawns. On the other hand, the surface dwelling grubs are worms that stay in the leaves instead of under the soil. You might see them at night because this is the time they search for food. Below are some common pests that usually damage your lawn. If you see some dry brown or yellow patches with a few small red dots on the leaves, which have dimensions around 2 –3 feet in diameter, that might be the sign of chinch bugs.. They develop fast in dry conditions, which means under high temperatures or lack of regular watering, chinch bugs could have a good environment to grow and attack your lawn. Japanese Beetles are the small, red and black beetles which can attack the lawn in a wide range. They are a kind of surface dwelling grubs, which mean they feed on the lawn leaves and also flowers and fruit. From the first stage, the larvae feed on lawn roots. But when they evolve into a beetle, they start to eat the grass leaves. These beetles are not really the main cause of an unhealthy lawn. However, the black African beetle and their grubs feed on the soil. These bugs only develop and eat during spring and summer time. When it becomes winter, they hibernate under the lawn. It sounds quite simple, but actually it requires lots of attention and time. 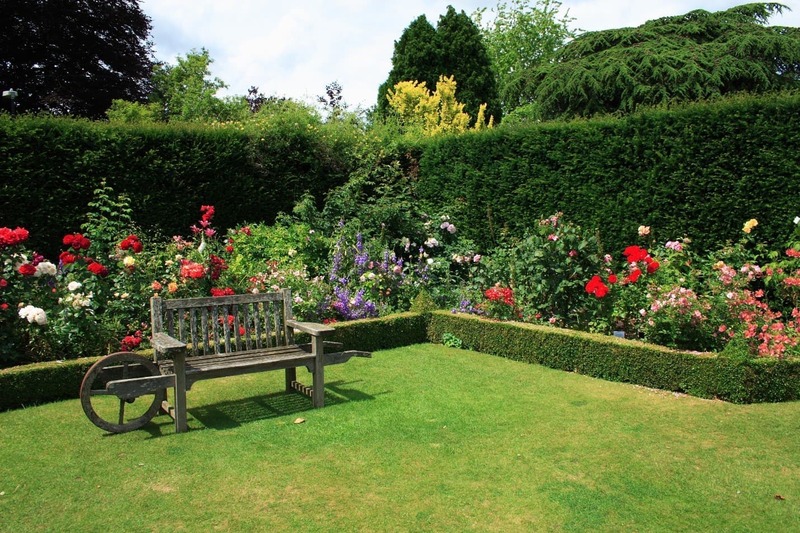 Indeed, maintaining good conditions of your lawn will help to reduce the pest appearance. Therefore, please make sure that you understand a proper watering schedule which can help your lawn avoid stress. Besides that, feed your lawn at the right time with the right method also. Finally, using a push reel mower or a self propelled lawn mower, to maintain the proper height of your lawn will help to sustain the good condition of it. These practices will keep your lawn healthy and resist the pests and diseases. Let’s choose the types of grasses which are suitable for your local weather. This can reduce the chance of pest attacks. The grass species that go with local climates will be healthier and strong enough to fight against the insects. 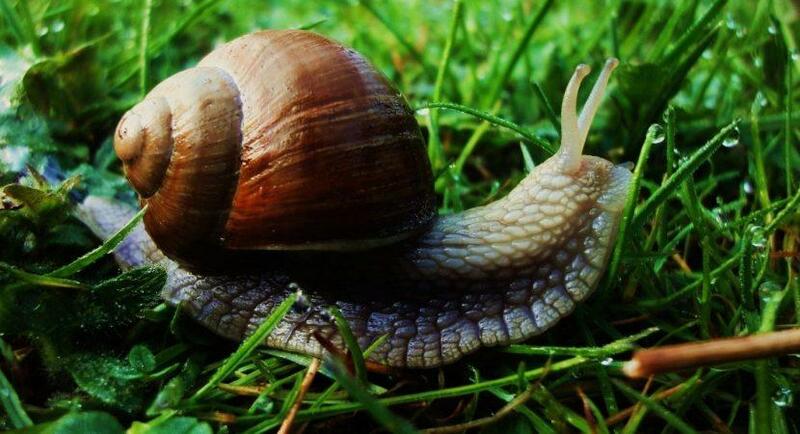 Slugs and snails often visit your lawn and stay there for a long time. There is a simple trick to help you remove them without effort. Bury a plastic bowl into the soil somewhere you can see it easily, and then pour beer into that bottle. The slugs and snails will be naturally attracted to the beer and try to get inside that bowl. All you need to do is remove that bottle the next morning. Insecticides are the last solution that you want to use after trying all the natural methods. In fact, spraying insecticides not only impacts the health of our grass, but it also harms our health. However, this solution can help us remove the pest from our lawns quickly. Please try the natural insecticide first! You can produce it by yourself with dish soap, water and vegetable oil. Mix 1 cup of water, 1 tablespoon of liquid dish soap and 1 tablespoon of vegetable oil together. Then, put it into a spray bottle and spray it on your lawn. After 2 or 3 hours, water your lawn to rinse this mix out of the lawn leaves. Repeat this task in 2 – 3 days. Chemical insecticide should be the last option. As I said above, you should only use this method if all of the natural approaches above have failed. Make sure that you read the instruction on the label carefully and apply the right amount of pesticide for your lawn acreage. Before starting to spray it, remember to wear protective clothing and keep the pesticide away from your children and pets. Pest issues are not easy to avoid, but it does not mean that you cannot control it. We just need to take care of our grasses, so that they can grow up healthy. Then, they can resist the pests and diseases by themselves. Besides that, let’s apply the other tips in this article to your lawn. We are sure that you will be able to prevent your lawn from the huge pest epidemic before it starts.